Please Note: To meet course requirements for the adult graduation program, eligible students: Must be 19 years or older (May be 18 if out of school for at least a year providing En'owkin Centre accepts the student) this is consistent with NVIT(the accrediting institute) requirements. The College Readiness Program is designed to validate cultural aspirations and identity, and motivate academic excellence. This program utilizes a cooperative project-based curriculum approach, rather than a textbook and test method. Students engage in real world projects of benefit to the larger community. Learning is "hands on" as much as possible. Past learning projects include publishing an Okanagan photo-history book of horse, ranch, and rodeo history; production of children's videos adapted from traditional stories (from script writing to video editing), and other culturally and socially relevant learning activities. Five courses are required to graduate: English 060, Math 050, and three additional advanced courses. Students are prepared to be successful in college and university programs. 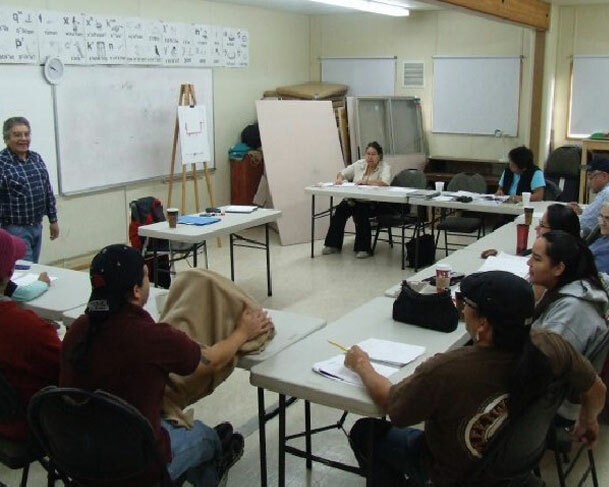 The College Readiness program can be combined with the N'syilxcen Language Program. Please Note: Programs can also be specially arranged with Bands to serve specific community needs.